Breath-taking Chamonix is the location for this five day course - it's superbly well equipped for all levels from novice through to expert. This is the perfect introduction to Alpine mountaineering, showing you how to transfer your existing knowledge to this special environment. We'll get you moving on snow and ice, and travelling on glaciers and ridges. 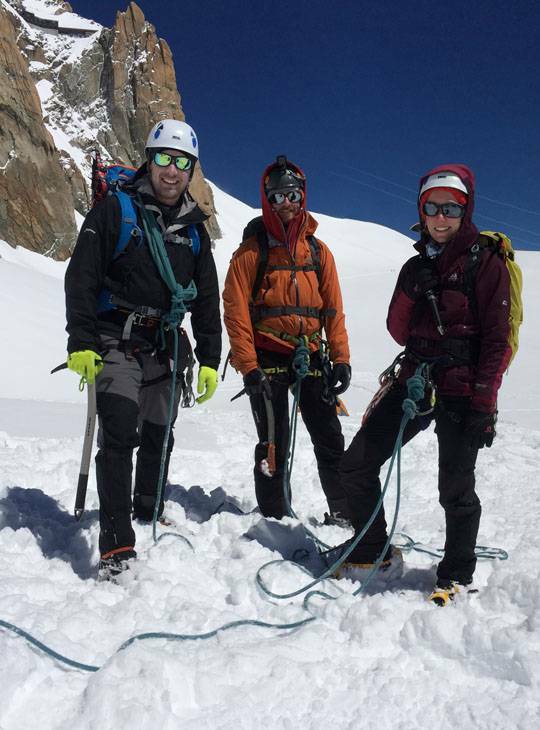 You'll learn the basic techniques, and get a host of top tips from our friendly experts who will also hone your skills in Alpine rope work, and crevasse rescue. With your apprenticeship served, we'll make full use of your new found Alpine skills on the majestic peaks of the area. The programme will remain flexible throughout the course in order to accommodate weather and mountain conditions. What's achieved is always dependent on these factors, but will be appropriate to your aspirations and fitness. 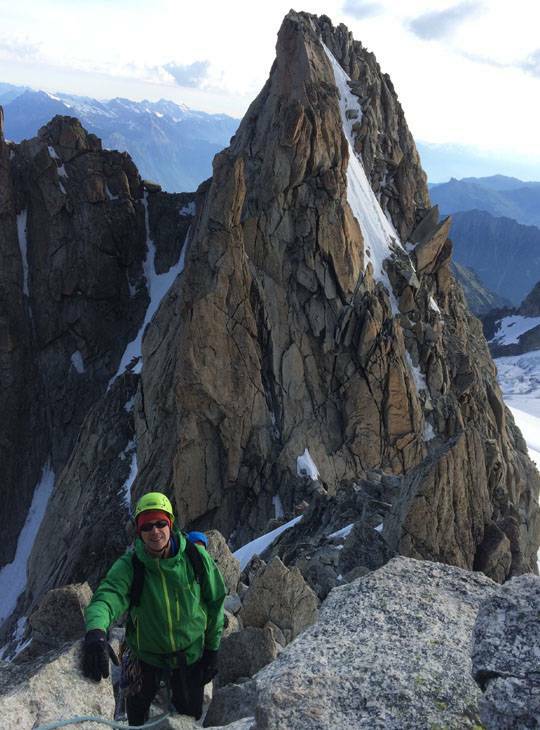 The overall aim is to give you an enjoyable introduction to Alpinism, that leaves you able to complete your own Alpine adventures in the future. 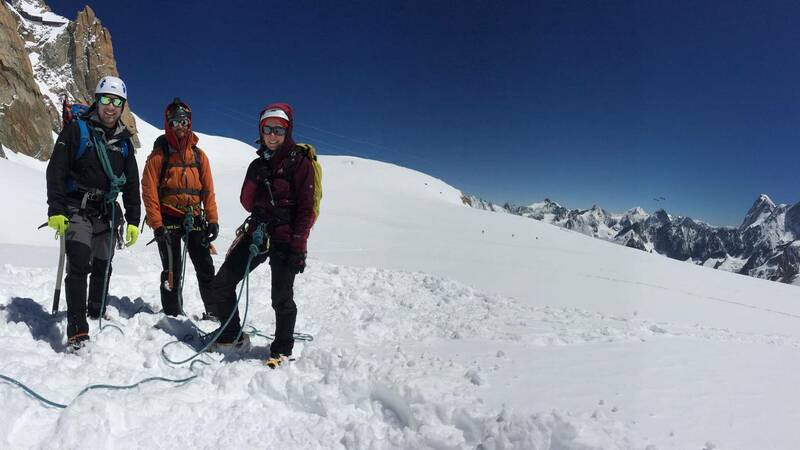 During the course, you'll cover; movement skills on snow & ice, glacier travel, crevasse rescue, moving together, route choice and planning, using Alpine huts. You'll need good 'hill fitness' for five consecutive mountain days. You should have some winter hillwalking experience, and some time spent scrambling or rock climbing would be beneficial. A sense of humour to cope with getting up at four in the morning could be regarded an essential! This is a non-residential course so please organise your own food, travel and accommodation. The course fee includes instruction, equipment loan and mountain hut fees (the mountain hut fees include half board - breakfast and dinner). There is a range of accommodation options in Chamonix; we are using the Yeti Lodge as our base. You can book your own accommodation with the Yeti Lodge (https://yetilodgechamonix.com ). Please meet your Instructor at the Reception of the Yeti Lodge at 9am on the first morning of the course: 75 Domain du Chantey, Rue du Plagnolet, Argentiere, 74400 Chamonix-Mont-Blanc, France. 40-50 litre rucksack with axe attachments - or let us know that you'll want to borrow these when you're with us. Build up mountain fitness with long walks (8 hours+) with a heavy rucksack on rough ground. Go scrambling. Do easy rock climbs in mountain boots. Go winter mountaineering in the UK for confidence with ice axe and crampons. Try different foods and drinks in the mountains to find out what works best for you. 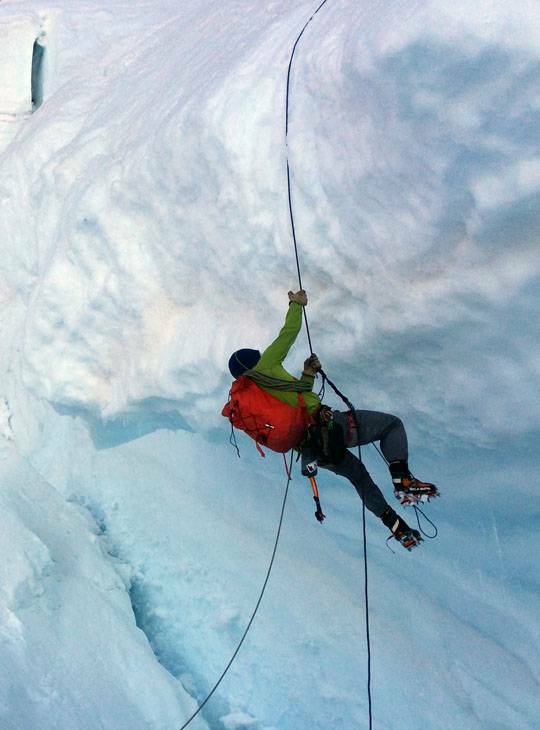 Read up on Alpine ropework, glacier travel and crevasse rescue. This will give you all the required skills to begin your own first Alpine exploits.